Pasarel - 14k Yellow Gold Hound Dog’s Head Cufflinks. 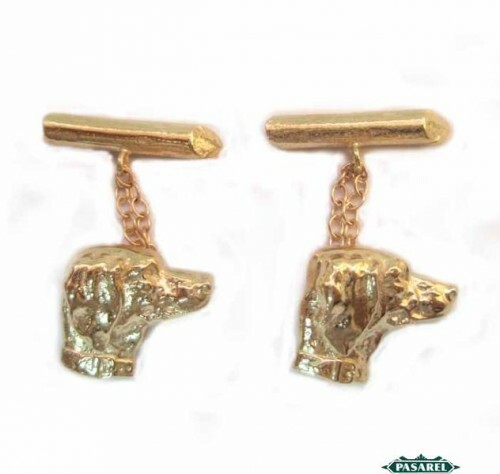 14k Yellow Gold Hound Dog’s Head Cufflinks. 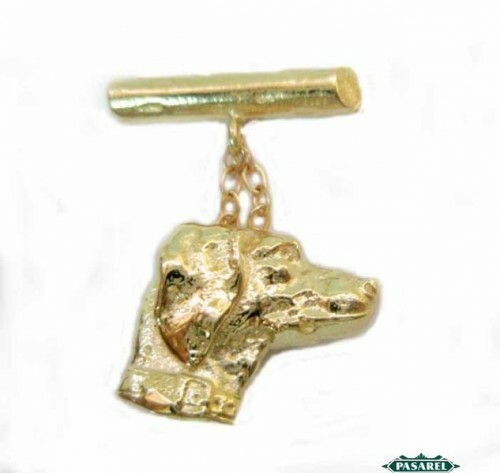 shaped as a hound dog’s head and connected with a double chain to the clasp. This item was designed and crafted by the famous Israeli jewelry designer Billy Shmerling Sender. 13mm X 14mm / 0.51in X 0.55in. 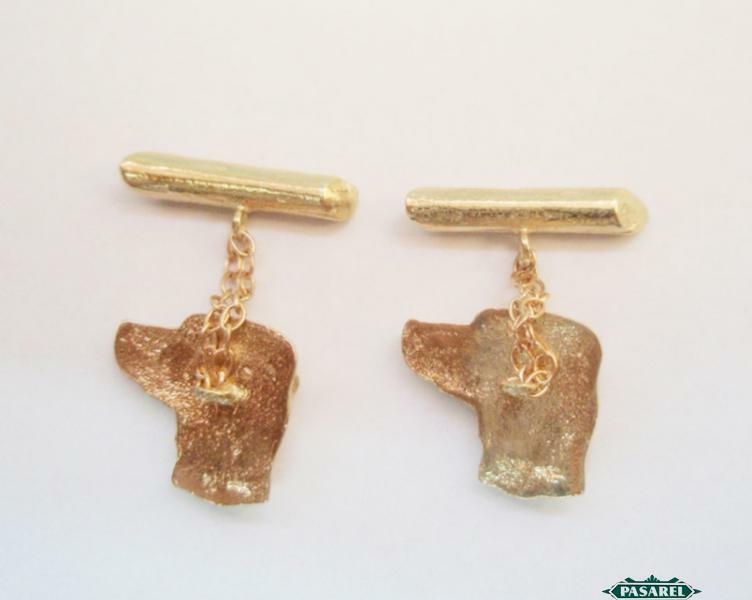 Billy (in Hebrew) and 14k.